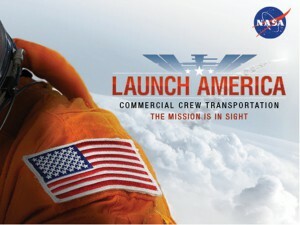 The CST-100 and Dragon version 2 have been tapped by NASA to carry astronauts to the International Space Station on missions that will herald a new era in space transportation driven by private companies who also will be able to market their launch services to people around the world. NASA selected Boeing and SpaceX to build their spacecraft during the final phase of a crew transportation development effort that began in 2010. The agency’s Commercial Crew Program will advise the companies as they advance from design to flight test vehicle to operational spacecraft, along with all the associated ground support, and launch and recovery systems. Previous phases saw the completion of the design work up to the point when components, systems and subsystems could be manufactured, along with flight-worthy pressure vessels. The earlier work, some of which is still under way, included complex tests of thrusters, launch abort system elements, software, parachutes and control systems. More tests, agreed to under the previous development initiative called Commercial Crew Integrated Capability, are slated to take place later this year by several partners. The selection of the companies won’t end NASA’s working relationship with other companies under their existing Space Act Agreements. The space agency remains committed to offering its extensive expertise in spaceflight to help companies advance their designs and potentially bring a spacecraft into operation on their own. NASA and its aerospace industry partners have marked their calendars for 2017 with the goal of certification – including at least one test flight to the International Space Station with a NASA astronaut aboard. America’s New Crew Space Transportation System will be built, this is a good news.I hope it will be successful. I really like your way mini of las vegas writing, great information, thank you for posting. this topic on my own. I’ve read several other articles on this subject matter, however I was confused till I read yours. Next Next post: Thanks for Tuning In Today!